This website was created for educational purposes for the public or anyone who is curious about terrestrial land snails in North America! 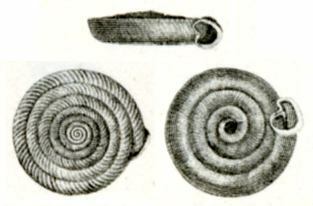 The particular snail for this website is Millerelix jacksoni (T. Bland, 1866) or more commonly known as Ozark Liptooth. This website is part of a larger project of informative web projects found at MultipleOrganisms.net developed by students in the Animal Biology courses at the University of Wisconsin - La Crosse. Our goal is to promote educational learning about snail species living within North America! On this website you will learn about Millerelix jacksoni or Ozark Liptooth. This snail was originally named Helix jacksonii and then Polygyra jacksoni before it was finally placed in the Genus Millerelix. This is a terrestrial snail that is commonly found in Northeastern Oklahoma, southwestern Missouri, and northwestern Arkansas. For more information on other organisms check out MultipleOrganisms.net. If there are any questions concerning this website feel free to Contact Us, Samantha Singer and Nicole Ludwig. Click the following button to get started!